If you are a prepper, chances are you have made firearms a part of your plans. Maybe you are new to the gun, having decided to start prepping recently, or maybe you are a homesteader from way back, and been around guns your whole life. Either way, guns are a tremendously powerful tool, and an asset like no other when the time comes to save your own, or someone else’s, life from a bad guy hell-bent on doing you harm. Seasoned gunslinger or brand-new greenhorn, you have areas you might improve on, facets of your shooting game that need a little tuning up. Your practice opportunities are limited: chances are you have neither time nor money enough to shoot all day, every day honing your skills. Therefore it makes sense to apply your efforts and money in a way that will let you see the most success in the shortest possible timeframe. Some of these things will be equipment choices, and others will be best practices for your time on the range. Make no mistake, you’ll still need to put in plenty of sweat equity, dry-practice and blisters, but if you follow the advice and tips I lay out in this article you’ll be set up for success, instead of frustration and shorten that learning curve so it looks more like a bump, not a cliff. That’s enough preamble; let’s get to the good part! Before you head off anywhere, you have a destination in mind. You don’t set off without a destination unless you are wandering, and if you are knowingly planning to wander along your training path this isn’t the article for you. Without a destination you don’t know where you are going, and worse, you don’t know how you’ll get there, or even tell if you have arrived. “What do I need to accomplish?” is the question you should ask yourself. This is your mission, and the mission dictates the preparations. If you are the average, everyday citizen prepper, your mission is the protection of yourself, your family and loved ones. “Protection” is subjective. Protection from what? Famine, economic collapse or a pair of scumbags in the living room at 2AM all require different proscriptions. This article is obviously about firearms and their use, so we are going to guide you to deal with the latter, today. Preparing for human threats means you will likely be using a firearm in defense of yourself or others. This means it will be a fight, and preparing for a fight with a gun is a whole different ballgame than standing on the range plinking. So let’s refine our objective. “I must protect myself and my loved ones from violence. To do that, I must be able to fight and prevail.” Better. Now, what tools would best help you accomplish that? Your body, certainly, the first tool. A gun, also. What kind of gun? Whether you use a handgun, long gun or both, will depend on your unique circumstances. We’ll get to that shortly. It is not enough to merely have a gun without the skills to employ it effectively. Without skills it is no more than a loud, violent talisman, a good-luck charm. Luck is a fickle patron, and not one you must trust to. Now our objective looks something more like, “I will protect myself and my loved ones from violence. To do that, I will use my gun to fight and prevail over those who would harm my family and me. I must be able to shoot fast and accurately to stop the people who are trying to kill me.” Now that’s a mission statement! If you practice regularly on the range, that’s great. Sharpening core skills, especially accuracy is crucial. But, if all you do is shoot bulls-eyes on the square range, you aren’t gaining skills that you must have when the chips are down. Don’t misunderstand, you’ll need accuracy and plenty of it, but you’ll also need speed. You’ll need to be able to react, draw and fire decisively after confirming the threat. You may need to shoot from a compromised position, inside a vehicle or while moving. Now, you may not be able to work on most of those skills at your local range, but there is plenty you can do “dry,” without ammo to perfect your techniques. And before you start practicing anything, it would behoove you to know what you are doing. If you have no prior formal training, or pertinent military or law-enforcement background, you probably don’t. That’s ok! Everyone started somewhere. Before you start practicing techniques you picked up from YouTube or the latest, greatest how-to article on guns and gunfighting (ahem), you should drop everything and attend formal training classes, and do so in a progression that fits not only your current skill level, but also moves you toward fulfilling your mission statement. So, if you are a city or suburban dweller, no matter how cool it is you will not be best serving your family by springing for that long-range precision rifle class instead of concealed handgun skills or close-quarters rifle or shotgun. Be honest and realistic with yourself about your needs and requirements. And don’t assume that any trainer is as good as another just because he has his shingle out. There are trainers who are transcendent in their discipline of choice, and only middling to fair in others. An honest one will tell you where his stronger and weaker skillsets, and hopefully direct you accordingly depending on the training you seek. We’ll touch more on this a little later in the article. Ok, so we know what our objective is, and we know that we must be able to fight well to achieve it when the fated hour arrives. The next question is, where should we start? Well, Rule #1 of a gunfight is “Have a gun,” so we’ll start there. Handguns, rifles and shotguns all have their place in the prepper’s armory. Everyone has a favorite type, one that they naturally gravitate to and pull out to get in some practice on a range day. We’ll break down the perks and flaws of each below, but I’ll tell you right up front if you are a civilian prepper, and by that I mean you don’t carry a long gun for a living, you should be putting in the majority of your training time and dollars on handgun skills. The handgun is the only firearm you’ll take with you everywhere, and actually have close at hand out in the world, unless you are one of these fruit bats that tries to make a point by open carrying their AR or AK into a Starbucks or the mall. First, don’t be one of those people. Second, if you have some idea that, besides travelling out of state on a trip or vacation, you’ll keep a rifle in your vehicle and then somehow retrieve it to have a better gun to fight with, you are so wrong on so many levels it nearly defies description. I’ll bitterly address that can of worms a little later also. Now, you will have handy access to your long guns at home, and you had better believe they will typically do a far better job of incapacitating a scumbag than your handgun will, and so you should be training with your rifle or shotgun, just not at the expense of getting rusty with your handgun. Your handgun is your constant companion. Like a faithful dog, it should go wherever you go. That’s the reason we’ll devote more of our training time to it. Maybe you already have guns, maybe not. Below, I’ll list some of the factors you should consider in selecting a given type of gun, their perks and flaws, and tips and tricks I have picked up along the way with each. If you are looking to buy gun in order to equip yourself, they will serve as guidelines to help you buy intelligently. If you already have a few guns or a collection, then the following may help you make a decision as whether or not to trade-in for better one, or just train-up to the gun, ensuring you can get maximum effectiveness out of it. Keep in mind while you read the following: all of my advice is based on the assumption that the arms in question will be used for self-defense against humans, not for hunting, or even defense against large animals. So, no kidding, a 9mm is not your first choice against grizzly bears or greater American saber-toothed weasels. Use common sense. I will make a few off-the-cuff statements about those considerations where appropriate, but that is not the primary focus of this article. As you scroll through my points below, remember that the two major criteria for selecting a gun for defense are mechanical reliability and an adequate caliber, i.e. is the cartridge effective against humans under most circumstances, with or without a light barrier between me and him? There are a great many handguns that could fit this description, revolvers and autoloaders alike. If you can check those two boxes, though, and learn to shoot the gun fast and accurately, it can take care of you by taking care of business. After those two criteria are met, everything else is a bonus, or an advantage. Please note here, I am not advocating for anachronisms: I am a wholehearted believer in autoloading pistols, rifles and shotguns, over revolvers, lever- and bolt-actions, or pump-actions. Technology marches on, and while I am as interested and sentimental over those designs from yesteryear as anyone, you should not choose one over a modern design if you have a choice. Those older, manually operated actions can still serve just fine, though: if you have good lever action rifles, and the ability to train and practice with them, is there any reason seven or eight shots of .30-30 or similar won’t suffice? Or a 7-shot .357 Magnum revolver? Should you go trade in both and spend to get an AR and a Glock? Not necessarily. I won’t lie to you and say that the AR and Glock don’t come with significantly more advantages than the lever-action and the wheelgun, because they do. They are far easier to shoot well, quickly, and have a great deal more ammo on board, on top of being easier and faster to reload. This may not make any difference at all in the short, sharp fight in your house at midnight, but it might in a prolonged situation involving bands of bad guys during some societal catastrophe or After-the-End scenario. All I am saying is if you put in the time to become proficient with your gun, it will likely work fine. Hitting what you shoot at and doing that quickly is the key absolute. Any gun beats no gun, and any gun will do if you can do. Remember that. Whatever gun you choose, you’ll want to make sure the gun is popular or common enough that you’ll have plenty of aftermarket support available for it: magazines, speedloaders, holsters, spare parts, accessories and service. If you are forced to turn to cheap, one-size-fits-all holsters or expensive custom options for parts, that will gobble up money that could better be spent on practice and training. Likewise, having a broad institutional body of knowledge to draw from, be it from the factory or from gunsmiths is crucial if you need replacement parts or repair. A rare, oddball gun may promise a greater degree of effectiveness (or just stroke your ego) but I can assure you any luster it may have will vanish when you are having to hunt down magazines at $75 a pop on the secondary market and call every shop in town to try and get a broken part replaced. For a handgun, your base choice will come down to a double-action revolver or an autoloading pistol (semi-automatic). The revolver is a much less popular choice than the autoloader these days, but is still viable. 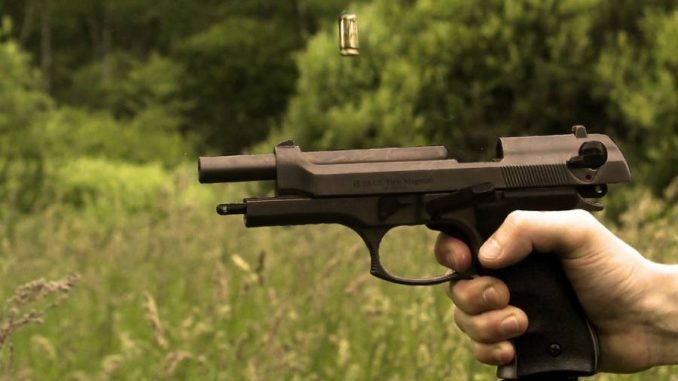 Autoloaders are the primary service pistols of military and police forces as well as the overwhelmingly popular choice among the citizenry for defense. The revolver is still found commonly in a backup-gun (BUG) role or in the holsters of diehard adherents. The revolver has the advantages of a simpler manual of arms, less sensitivity to ammunition, and less sensitivity to neglect. The autoloaders perks are greater capacity, ease of reloading, typically a nicer, easier to manage trigger and overall greater durability than the revolver. The autoloader is also in most situations easier to conceal, apples-to-apples, lacking the revolver’s chunky cylinder. If you are considering an autoloader, viable choices for cartridge for a primary gun are 9mm Para and .40 S&W on the lighter side, or 10mm Auto and .45 ACP on the heavy side. Today, the 9mm has the most advantages owing to solid terminal performance, low recoil, high capacity and low cost. The 10mm and .45 ACP have more of what you don’t want and less of what you do, especially cost. They do however penetrate more deeply, as a rule of thumb, and show good performance through intermediate barriers like automotive glass, and so may have merit if you anticipate working around vehicles often. The larger cartridges also make more sense if you live in a non-permissive state and do not have easy or legal access to magazines that hold more than 7 or 10 rounds, or are living and operating in an area where you have a legitimate concern about large or dangerous animals. In that case, depending on the critter, a magnum revolver could be a better choice. Speaking of revolvers, your go-to cartridge options are .38 Special and .357 Magnum (which of course can chamber the .38 Spl). 9mm Para. is curiously becoming more common today in modern revolvers, and as is 10mm Auto. Note both will require typically require the use of moon clips thanks to those cartridges rimless design. Larger options for revolvers adequate for self-defense include the .41 Magnum, .44 Special and lighter .45 Colt loads, the big issues here for all being cost and for the first two availability as those cartridges are far from popular. The .44 Magnum and other big-bore magnums, while certainly effective, have far too much penetration, recoil and blast for the average user to employ effectively without a ton of practice, and sometimes not even then; hard-kicking, thunderous magnums are notorious for instilling a bad flinch in shooters, and not everyone can overcome that kind of pounding to master such a handgun. Beretta Mod. 92/M9 series, PX4 series, or APX. N. Model 509, FNX series, or FNP series. You have more choices in actions for a defensive rifle: Semi-automatic, lever action, and bolt action are all popular, and you will occasionally see pump-action designs. Ideally, you will want a semi-automatic, one that accepts a detachable magazine, but pump and lever actions are quick enough, and are acceptable here if chambered in a modest cartridge. Bolt actions are best relegated to hunting or precision rifle roles. Your go to rounds for defensive rifle, especially for in-home defense are the in the “intermediate cartridge” class: light, fast bullets, and mild recoil, along with modest penetration compared to the older full-power .30 caliber battle rifle and hunting cartridges from yesteryear. Trusty standbys are .223 Remington, 5.56x45mm or 5.45x39mm. Your lighter .30 caliber rounds like .300 Blackout, .30-30 Winchester and 7.62x39mm can serve well in a home defense role with careful bullet selection, as can to a much lesser extent .308 Winchester/7.62x51mm NATO. Beware that that cartridge has a well deserved reputation for serious penetration, and the increased weight and length of rifles chambered in it will become a hindrance. Pay particular attention to load selection as you should be rightly concerned about over-penetration and downrange hazards using such a gun in the home. If you are leaning toward a rifle that chambers a pistol cartridge stop and give that some thought. The whole reason you are reaching for a rifle is to get rifle performance. You don’t want a big pistol, you want a rifle! And before anyone says anything about the dinky pistol bullet picking up some extra velocity out of a long barrel, save it: It isn’t enough to turn it into anything except a slightly faster pistol bullet. The only other perk, having interchangeable ammo and possibly magazines with your pistol is a fringe benefit. Pick a proper rifle! Colt, BCM and Sons of Liberty Gunworks AR-15’s. For serious social purposes, your only real choices will be semi-auto or pump action. If a break action is all you have, by all means giddyup, but the low capacity and cumbersome reload will be a significant liability. Cartridge selection is 12 or 20 gauge, either will work just fine for two-legged vermin, and pack enough shot at adequate velocities to work well. 10ga. is too much and too expensive, guns chambering it are heavy, comparatively rare and expensive. 16ga. is certainly adequate, but is hampered by poor availability and limited variety of factory loads. Discount entirely 28ga and .410 bore. A quality semi-auto is a fine choice, but they are typically expensive, and may require tuning in addition to being ammo sensitive. The payoff is that their manual of arms is more forgiving than a pump action, they are fast cycling and they have less felt recoil than most pumps. Being able to place 3 loads of buckshot accurately into a scumbag’s thoracic cavity in less than a second is heavy medicine indeed. If you were using No.1 buckshot, that would be around 45 .30 caliber, deeply penetrating wounds. That’s a lot of trauma to deal with. The pump shotgun is America’s favorite, and one of the most plentiful types of guns of all. A pump action shotgun is a good all purpose gun if one is willing to put in the work to be proficient with it; they are typically not ammo sensitive, robust, simple and inexpensive. However, manual operation of the slide is tiring and prone to being mishandled by the shooter, inducing a malfunction. Another advantage that shotguns bring to the table is ammo versatility: by merely changing ammo types, you can be ready to engage targets at close range with dreadful effectiveness using buckshot, or reach out with some accuracy past a 100 yards and terrific penetration with a slug. The obvious double-duty application of shotguns for hunting mammals or birds is obvious, and so are very attractive options for a prepper on a budget trying to cover many bases at once. Drawbacks of all shotguns include low to average capacity, excepting very long competition guns or specialized box-magazine fed variations and having a more diverse set of mandatory skills that must be practiced to attain proficiency: loading, patterning, running the slide on a pump-action, slug-exchange drills, and so on. Autoloading and pump action shotguns are as a rule pretty heavy, especially when loaded. Shotshells are also heavy and bulky, and takes up a lot of room both on your person and in storage. Like rifles above, consider a light mandatory for a defensive shotgun, and consider a red dot sight as well; shotguns do have an increased hit probability compared to other guns, especially at medium range with shot, but they must absolutely still be aimed carefully at close ranges. There will be nothing like the cloud of lead flying out of the barrel as is commonly thought. Remington Models 870, 1100, 11-87 and Versa Max. Getting professional training is commonly neglected by most gun owners, and quite a few preppers. It is much more rewarding to go buy a new gun, deck it out in all the latest accessories, then head to the range to blast off half a case of ammo with your buddies. Listen, don’t threaten me with a good time, but that does not accomplish much in the way of growth. You have a mission, remember? Instead, strong-arm your buddy into taking a class with you. This will be enjoyable for the both of you, and increase the training value; your friend will take away different points than you will and vice versa. Comparing notes after your training day is a great idea, too. You just paid a pretty penny to attend a decent class, don’t trust to memory to remember everything! Paper remembers what the mind forgets! If you are a novice, or don’t already have your license/permit to carry concealed, make your first stop a basic pistol class that will certify you in order to obtain the license. If you already have it, or are a little more seasoned, you should look into a more advanced pistol skills class, preferably one with a focus on drawing and engaging targets from concealment. You will be carrying concealed, right? Everywhere you go, right? Likewise, your long gun training should focus on closer ranges, including inside-the-home/close-quarters distances. You do want to be competent all the out to 300 yards or so with a rifle, but even in a true End-of-Global-Society level event, the chances that’ll you be slugging it out at 100 yards and closer is far higher than long or extreme range sniping. Before signing up for a trainer’s class or attending a particular school, do your due diligence and investigate them. Look up reviews online and ask for references to prior students and alumni. See what the trainer is known for and what their professional background and continuing education looks like. Good training is expensive, a too-cheap price or complete lack of presence online or across gun-centric forums may be a warning sign. Conversely, military or police experience is not the end-all, be-all word in the training world. Just because someone has done a job, even very well, for years does not mean they have the skills or attitudes to make a good teacher. This is where those references and online reviews will pay off. Ask about the person’s skill level when they attended the class. Was their skill level similar to your own? What did they take away from the class? Are they planning to take anymore training from that trainer? If not, then why? It’s your dollar; investigate who you’ll be learning from! After you have taken training and now know why you will do things a certain way as well as how, you can take that education and go practice your newfound skills on your own. When you go to the range, treat it like going to the gym; go with a goal in mind, and track your progress. Use a shot timer, or timer app on your smartphone. Maybe you will be working speed today, or perhaps accuracy. Will you be working on your handgun, rifle or shotgun skills? Maybe transitioning from long gun to handgun? Whatever skill you have decided to work, have a standard you are struggling to reach. When you start meeting that standard consistently, increase the difficulty. Push yourself! When you go to practice, be present mentally. Shooting is largely a mental game, and this is a big part of it. Visualize positive outcomes. Mentally assemble the fundamentals necessary for a perfect shot: grip, stance, sight package, perfect trigger press and follow-through. If you can’t flush a bad day at the office or fight with your significant other from your brain to get in a little range time, consider what the stresses of a potentially lethal encounter will be like. Whatever the results of your practice session, record the results in a training journal. Keep detailed notes on the distance, target, drill and gun and load used. Make notes of your thoughts and overall experience. Every so often, run benchmark drills, ones that are shot the same way each time so that you can accurately gauge your growth, and notate your current personal bests. A good policy is to begin every practice session with a fundamentals drill, one you do well, and then end the session with the same drill, striving for perfection on both. One of my personal favorites, shooting for accuracy, 10 shots freestyle, on a B-8 target at 25 yards, for score. If you can routinely stack good groups on a target at 25 yards, you know your fundamentals are solid. As I alluded to above, if you have a pistol, and can legally carry it, you should be carrying it everywhere you can. The pistol is every bit like a fire extinguisher or parachute; it’s one of those things you rarely need, but when you need it, you really, really need it, and it had better be close at hand and functional. If you aren’t carrying it constantly, why not? Is it a “hardware” problem? Is the gun too uncomfortable, is it too big to conceal effectively with your usual attire in the local climate? Or is the problem a “software” issue, that is, something you are worried about or just don’t like? Maybe you only carry when you “feel” like you’ll need it, or do you worry that you’ll be spotted while carrying it? Do you lack confidence in your abilities? Like most problems, the obstacle points the way to the solution. If the gun is uncomfortable or seems too hard to conceal, an upgrade in holster and belt (if applicable) is probably in order. Perhaps the gun is really too big to be easily concealed the way you want to conceal it. Try a different method, or trade the gun in for a smaller variant. If you are carrying openly, and have the option to carry concealed, stop. Unless you are working on a ranch, private land or some such situation, your blatant advertising of the gun you are carrying is setting you up for disaster. Some proponents of open carry say it is a deterrent to criminals. Really? The how come hundreds of uniformed police officers are attacked yearly? Those same proponents will claim that their draw will be faster, and cleaner. Perhaps, but practicing your draw from concealment will fix any deficiency. You must not assume that any criminal that sees your holstered gun carried openly on your hip will be “deterred.” In fact, for the really hardened badasses, they aren’t’ scared of your gun, having been shot at or shot before, and now they know where they can get a gun, and may not hesitate to relieve you of yours. It’s no one’s business that you are packing but yours. Keep it concealed. Stop advertising. Now, if you are one of these people that openly carry a long gun, either for a demonstration or “spreading awareness”, I’ll come right out and say that you are part of the problem that 2nd Amendment proponents are currently facing. Your methods, while perhaps honestly motivated by a desire to do good, do nothing but alienate the general public, attract all the wrong kinds of attention and draw the worst conclusions about gun owners. Talk about “scaring the horses…” Knock it off. A trend today is the carrying of a long gun and extra ammo in your vehicle at all times, due in part to the increase in mass shootings and terror attacks on crowded public places. This is understandable, but misguided. If you are not a cop, or working as a private security operative expected to respond appropriately to such a scenario, forget it. Let me lay out the scenario, and this scenario assumes you are carrying a concealed handgun. You are out in public, say at the mall, when you hear a rapid string of shots ring out down the corridor. You have your holstered handgun and an AR in your car. If you decide to engage the shooter and stop the killing, but choose to return to your car, retrieve your AR, then return and engage the shooter, the shooter has been killing people the whole time. You would have been better off interdicting with your handgun. Same scenario, shots break out much closer to your location. Go to car, or take cover and engage shooter with handgun? If you make it all the way out to your car, you have escaped! So escape, and call the police! I am not sure what the legal ramifications may be if you escape from a situation like that, and then go back in packing a long gun. Of course, you are trying to stop an evil person doing evil things, but this is the USA in 2018. Ok, new scenario. You pull up to a location, say a busy restaurant and as you prepare to park hear shots ring out in rapid succession inside. What do you do? Grab your rifle and head in side or get the Hell out of Dodge? The correct answer is ‘Get the Hell out of Dodge.’ If you are still in your car, your best bet is to burn rubber away from a bad situation. Don’t become a casualty. Let’s say you decide against reason to grab your long gun and head inside to confront the bad guy. You are now a non-uniformed person holding a rifle, in a situation where other gun-toting citizens may be looking for just such a figure. They don’t know you from Judas, and the optics of situations like this lead to good guys taking “friendly” fire because they fit the coarse description of an active shooter. Don’t forget also that police will no doubt be receiving a torrent of calls with descriptions, often wrong descriptions of the shooter. You do not want to be holding a gun, any gun, when they get there, especially in an ongoing event. Think it through. Leave your long guns at home unless you are on a road trip. Readiness and proficiency with your firearms is an important part of prepping, but knowing where to invest your time and money to achieve the best results is tricky. Using this article as a guide, you will be able to determine your needs, select the best guns for the job and decide where best to invest your effort. What did you think of the tips in this guide? Do you agree with the recommended guns and best practices? Let’s hear what you think in the comments!